Hosts were very accommodating to every need we had. The pool was great along with the outdoor area. I love the Host! very welcomed and always keep in touch with us everyday. by email, by texting, by dropping by and ask if we need anything. Great Hospitality! Jay Daha is the man! He is the owner and him self text me everyday! worth for every single penny! Iluh did a great job in serving us daily breakfast and we had one bbq dinner. Food was good! Putri did a good job in making the reservations for masage, and did a good job in the Housekeeping. Guards were situated next to our mansion most of the time making us feel safe in Bali. The airport transfers and some tours by Putu Jaya and Kadek was also good.. The small pool. The size is good enough for family gathering. Nearby with convenient shop "kedai runcit". Lovely villa in a great location. We could walk to the Main Street in 5 minutes. Felt very safe the whole time we were there, the staff and security were amazing. Facilities were great, lots of room, comfy and spacious. Extremely clean and the staff were friendly and great at making the place spotless. Bathroom and kitchen were very user friendly with enough supplies. Overall our stay was great! Private pool, maids are great and the Indonesian breakfast made daily was great! The check in and check out was super easy cause ketut and intan were there to welcome us. Very friendly and easy to deal with. We had pleasant time staying in daha mansions. 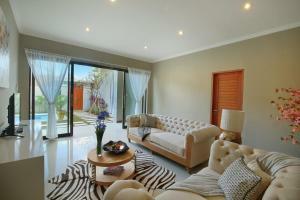 Lock in a great price for Daha Mansions Seminyak – rated 9 by recent guests! 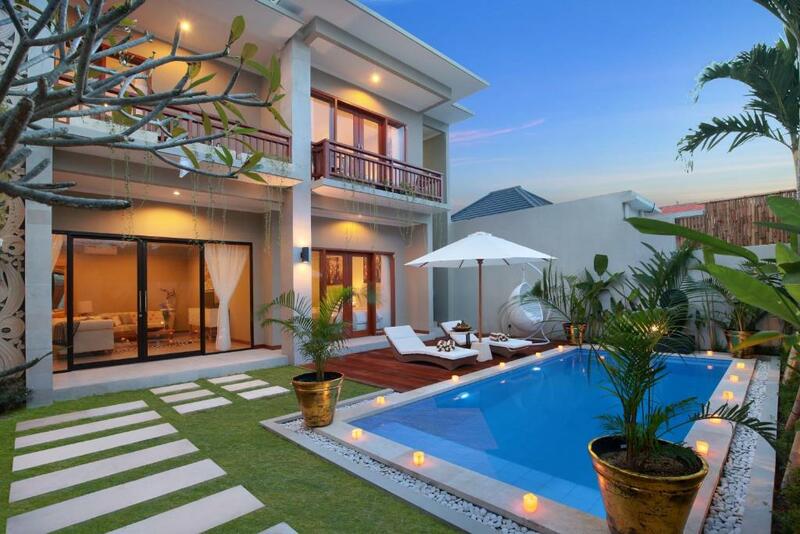 Daha Mansions Seminyak This rating is a reflection of how the property compares to the industry standard when it comes to price, facilities and services available. It's based on a self-evaluation by the property. Use this rating to help choose your stay! 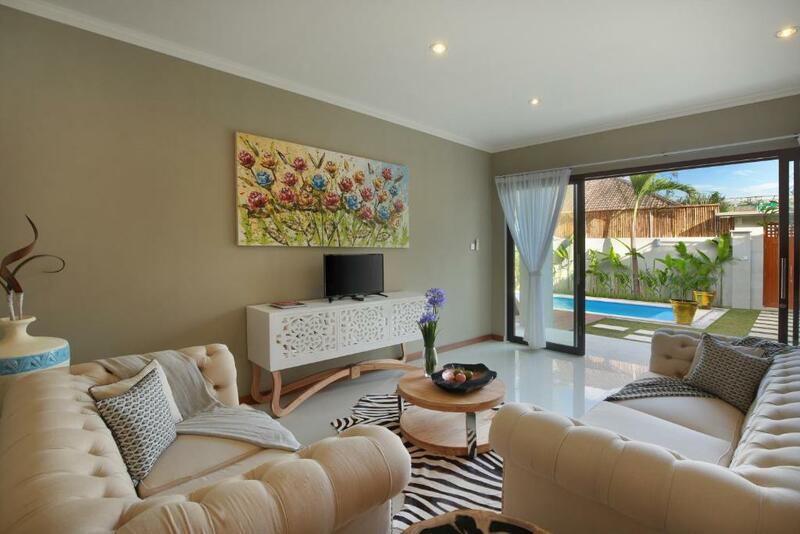 One of our top picks in Seminyak.Located a 14-minute walk from The Seminyak Square Shopping Mall and one mile from Ku De Ta, Daha Mansions Seminyak offers accommodations with a kitchen in Seminyak. 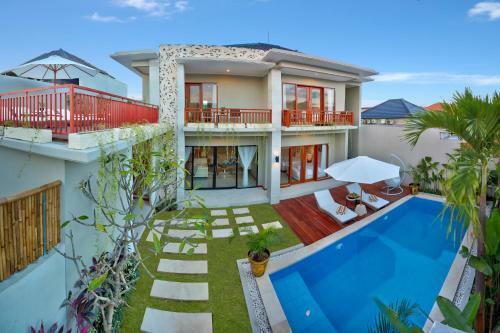 Guests staying at this villa can use the free WiFi. This villa features a terrace, a living room and a flat-screen TV. The villa also features a bathroom. Speaking English and Indonesian at the reception, staff will be happy to provide guests with practical advice on the area. The villa has an outdoor pool. Both a bicycle rental service and a car rental service are available at this property. Popular points of interest near Daha Mansions Seminyak include Petitenget Temple, Potato Head Beach Club and Oberoi Street. 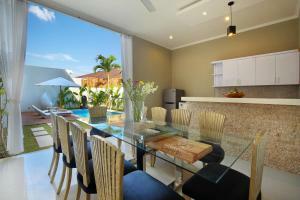 Ngurah Rai International Airport is 7 miles from the property. 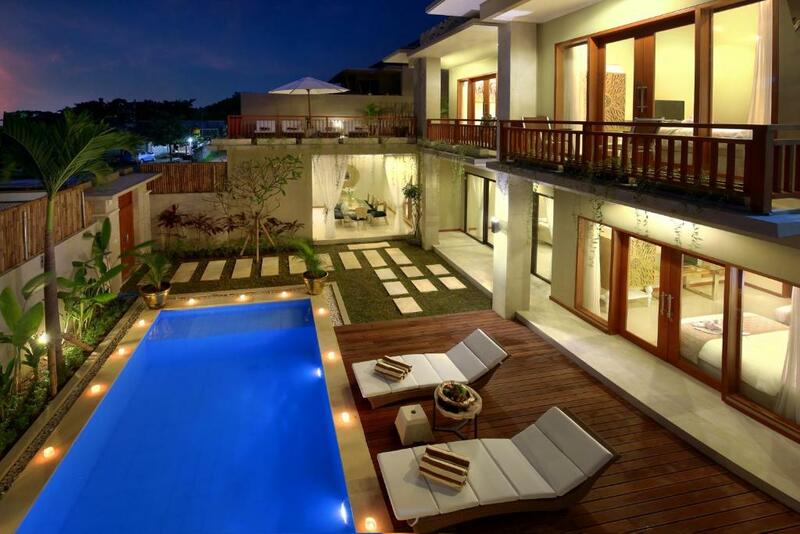 뀐 Located in the top-rated area in Seminyak, this property has an excellent location score of 8.3! When would you like to stay at Daha Mansions Seminyak? This villa has a balcony, patio and flat-screen TV. 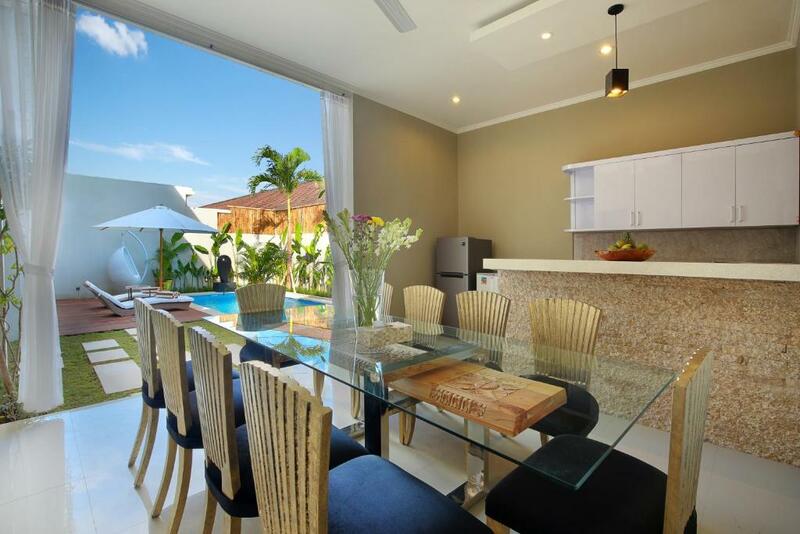 Daha Mansions Bali , A set of luxury 4 bedroom villas located in the heart of Seminyak. These beautiful double story 4 bedroom villas are located a short walk to the main Oberio street of cafes, bars, restaurants and a range of shopping. Daha Mansions Bali is operated by international luxury property company Daha Investments. House Rules Daha Mansions Seminyak takes special requests – add in the next step! All children under 2 years are charged IDR 250000 per night in a crib. Daha Mansions Seminyak accepts these cards and reserves the right to temporarily hold an amount prior to arrival. Please inform Daha Mansions Seminyak of your expected arrival time in advance. You can use the Special Requests box when booking, or contact the property directly using the contact details in your confirmation. Me and my friends liked how the place was big enough for the 14 of us. It had 2 queen sized beds in each room which sits us perfectly and comfortably. Although breakfast stated was for 9 adults and 2 children. Portion was rather small. It was mentioned we get a buffet breakfast but not enough to share amongst ourself. Also on the booking mentioned that BBQ pit is included in my booking. I was a bit disappointed to know that it wasn’t. Room door stuck. The surrounding have renovation, our sleep been disturb in the early morning for the construction work. No hair dryer. Hot water cutting off, only get hot water at the beginning when we turn on the water tap. The pool was smaller than it looks in the pictures and there was constant building work right next to us which we wasn’t informed about. The building work started very early in the day, every day! Swimming pool not maintained and cleaned, horrible to see all the stuff at the bottom of the pool. Facilities advertised not working e.g table tennis, basketball. Maybe the location cause u need to wait by the busy road to get grab. And they seems to not know where the villa is. Pool clean, rooms clean, overall great experience. Photos exactly how property looks. The air conditioners need to be of higher capacity, with relation to the size of some of the rooms.Need for some more electrical outlets(plug-points) in all the rooms.Though on request, the manager provided us with an extension cord. The villa is well made and kept well-maintained.Swimming pool is nice and the water is very clean and doesn't have any smell of chlorine in it.Kitchen is also good with enough tools,utensils,etc. The Table Tennis board on the sun-terrace is in good condition.So is the practice basket(ball). Located on a by-lane where regular cars and small SUVs can enter.Peaceful area with quick access to small marts,etc and short walk to the lively locale of Seminyak bars and restaurants. The aircon in 1 room wasn't cooling well, and there was no water in another room, BUT Agus was on call and immediately fixed everything. The rooms were clean and comfortable, and so were the bathrooms. The basketball ring and the ping-pong table was a nice addition for the kids, aside from the pool. Agus was in charge of our group and he was very accommodating. He was always on call, whether early in the morning or late at night. When the air conditioning in 1 room was not cooling well, he came with 2 other staff members to refill the freon in the aircon unit at 1am!